We hope our Help & Advice section will give you all the information you need to help you buy your motorised blinds. Remote controlled blinds are much more than an affordable luxury; they can really enhance your life. 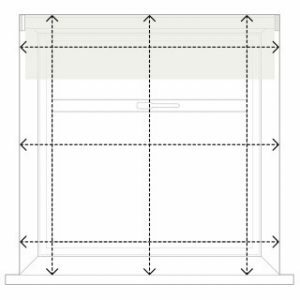 Our guide shows you how to measure up accurately to ensure your blinds fit perfectly into place. Our motorised blinds are as easy to install as normal roller blinds, so you can fit them yourself. 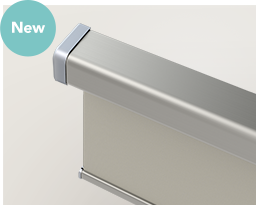 Choose from our 3 different ranges of electric roller blinds, each designed to offer a unique blend of technology and style. 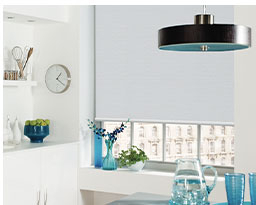 Find out more below to select the electric blinds that best suit your lifestyle and home. 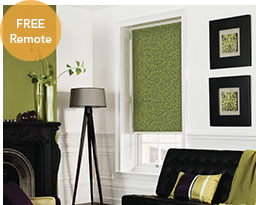 Offer available on Fully Customisable, Roman and Cellular Blinds. 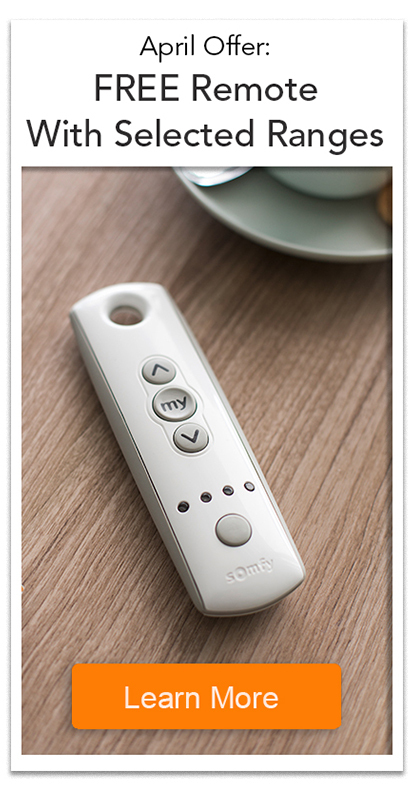 Simply select ‘No remote’ when customising your blinds, and your free control will be added to your cart when you check out. Make it yours. Choose from 4 cassette options, 8 wall switch designs and over 40 plain and textured fabrics in screen, sheer, dim out and black out. 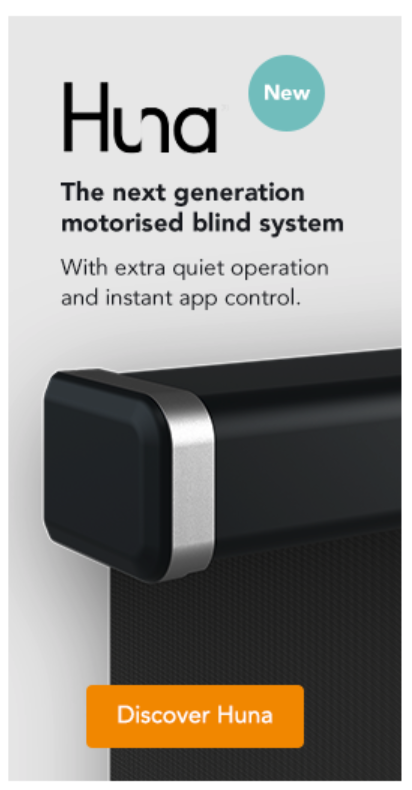 The Huna range of electric blinds features an innovative fixing system and smart phone app control. Our widest selection of fabrics in sheer, screen, dim out and black out. 3 cassette finishes. Battery, solar and mains power options. Controls with timer and sensor functions available. Compatible with Somfy Smart Home and Alexa. Our all-inclusive blind solution. Over 20 plain and textured fabrics to choose from in sheer, dim out and black out. Battery operated, with a Somfy remote control included. Compatible with Somfy Smart Home and Amazon Alexa. 1. Use a metal tape measure for accurate measurements. 3. Take into account any obstructions such as window handles or tiles, etc. 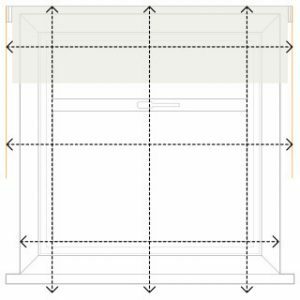 We have to allow for the brackets and motor head at either end of the blind, so please be aware that the fabric width is approximately 3.6cm less than the overall recorded measurement. a 5mm gap at either side of the cassette profile when fitted). Before taking your measurements, you must decide on how much fabric overlap you would like over the window recess. Take this into account when recording your measurements along with the 3.6cm allowance across the width for the brackets and motor head. Poweredblinds.co.uk is a specialist online supplier of motorised blinds solutions. Our electric blinds combine style and technique to make your home more comfortable and secure. Our range is continually expanding so check back often! Free delivery on all purchases, plus free delivery on fabric samples. The world leader in producing reliable and hard wearing motors and control systems for the home. Copyright © 2019 Powered Blinds. All Rights Reserved. Poweredblinds.be is verhuisd en behalve een nieuw adres is er weinig veranderd. Je kunt nog kiezen uit een breed aanbod van elektrische rolgordijnen, vouwgordijnen, plissés en gordijnrails met Somfy motor. Nog steeds met gratis bezorging in België. Ontdek nu ook onze stijlvolle nieuwe generatie HUNA rolgordijnen, inclusief app en Bluetooth bediening.